Now in its 7th year, Bournemouth Arts by the Sea Festival is thrilled to announce its diverse line up of acts and performers for 2017. From intimate theatre shows through to illuminated installations, live music and large scale outdoor spectaculars, many of which are free to the public, this year’s event looks set to excite all ages. Opening this year’s festival will be a diverse selection of pop-up performances, walkabout, music and contemporary dance events on Saturday 14th of October, spread across the Town Square and Gardens from midday. 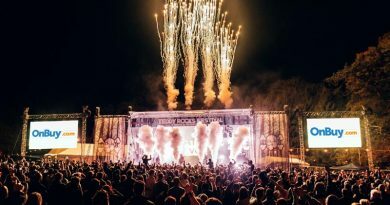 On both nights of the opening weekend, the Hydromania show by Avanti Display will take over Bournemouth’s Town Hall with a unique family friendly performance. The show is set to engage with the architecture of its location, combining a vibrant interplay of water and light, physical performance and live music. Utilising balconies, windows and the roof of this hallmark building, the takeover of the Town Hall will be a unique spectacle that’s not to be missed. Closing Arts by the Sea on the 21st is ‘Sense of Unity’. Sense of Unity brings together outdoor puppeteers Dundu and percussion ensemble Worldbeaters in an evening of visual spectacle and live music. The high-energy beats of Worldbeaters lead a procession in search of the giant, illuminated puppets of Dundu. The journey culminates with the interaction of musicians, puppets and audience, sharing love, light and music. Dundu is produced by Activate Performing Arts, funded by Arts Council England through Coasters Touring Network and is developed in Newbury Corn Exchange’s 101 Outdoor Arts Creation Space. Coasters is a three-year project that brings world-class circus and street arts work to coastal towns across England. SeaChange Arts lead a consortium of 11 organisations with the shared ambition of building relationships with audiences in areas of lower engagement and helping transform perceptions of coastal towns. The 2017 commissioning theme is ‘Plastic Beach’ which invites artists, Fringe organisers and creative partners to explore the issue of marine pollution and, more broadly, the tensions between ecology and industry. Highlights include Turning the Tide by Mick Stephenson, the Sol Cinema by Paul O’Connor and the Rockpool by Kerith Ogden and Bee Jasco. Look out for Lulu Quinn’s beach installation to highlight ‘Save Our Seas’ project with ‘Message in a Bottle’. From the indoor theatre, comedy and performance programme, highlights include ‘Labels’ by Joe Sellman-Leave, ‘Sixth Sense’ by Luke Jermay, ‘Rewild’ by Livia Rita & Artists and ‘Surf’s Up Family Rave’ by Big Fish Little Fish. The festival is delivered annually by Arts Bournemouth and works in collaboration with many partners, locally, nationally and internationally. It is also supported using public funding by Arts Council England and Bournemouth Borough Council. The aim is to encourage a greater awareness of and participation in outstanding and engaging arts across different media and art forms. The line-up announcement for 2017 comes on the back of news that the festival has been awarded funding for the next four years under Arts Council England’s National Portfolio. Arts by the Sea is one of 831 organisations selected for funding under the National Portfolio and has received a total grant of £600,000 to cover activity for 2018-22. Tickets for the Arts by the Sea Festival 2017 are available from 22nd June and can be bought online at bhlive.co.uk. A full list of acts and video showing highlights from last year’s festival can be found at artsbythesea.co.uk.